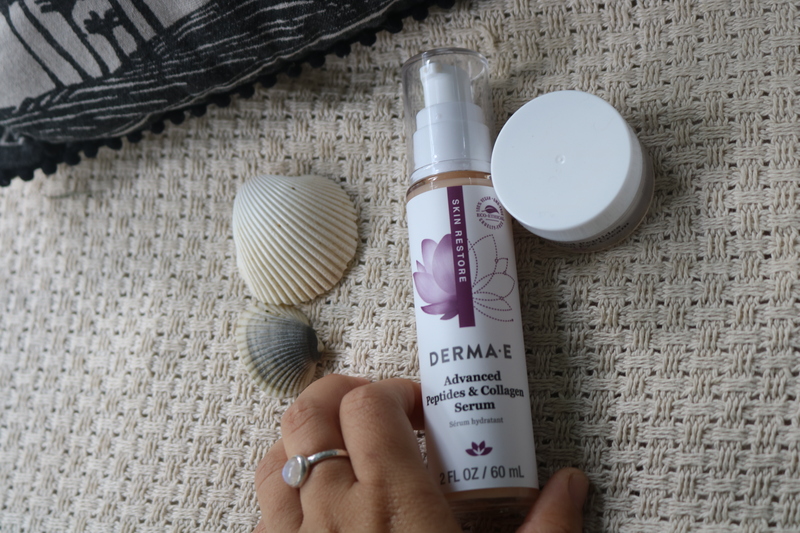 So, today 🙂 I’ll be writing about my skincare routine I’ve been doing for the past 2 months with a beautiful brand called Derma E. As you might know, I love taking care of my skin not only for the physical results it will give you in the long run but also for the care and self-nourishment you gift yourself every day. It’s part of self-love, and setting time for yourself which is something I value a lot. Right now in Byron Bay, mother nature is transitioning from Autumn to Winter. Sunsets earlier, morning air feels crisper and the nights are feeling longer/colder. It’s so weird feeling the seasonal changes here in Australia because it’s so mild compared to them Canadian weather changes like one day a dumping of snowfall the next a hot weird summer-ish day… its crazy lol But yeah… it’s different in Australia and although it’s very subtle, your body, skin, mind, every physical and mental part of you feels it. 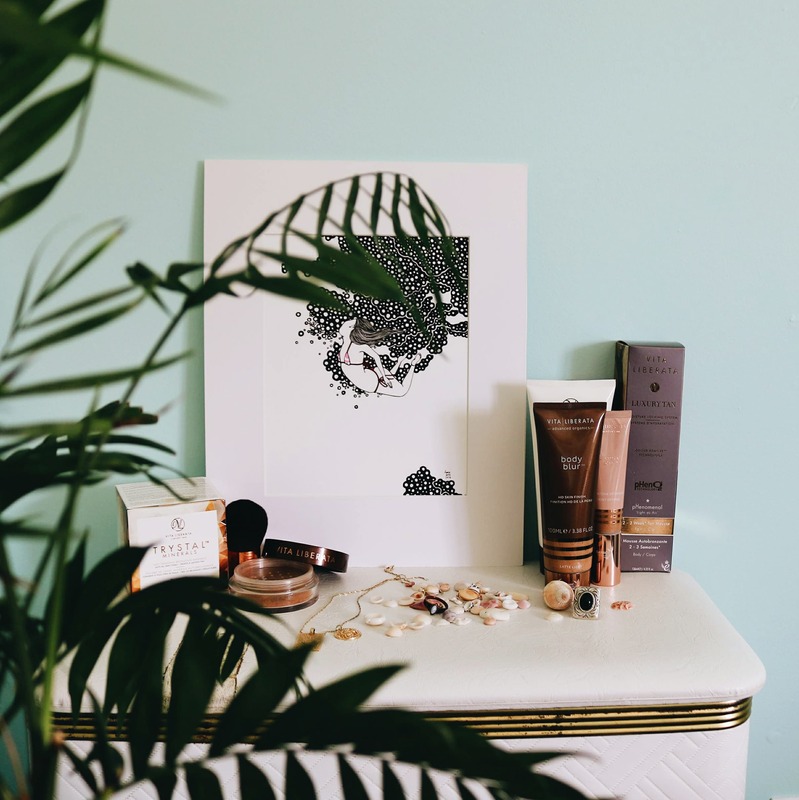 Usually, when the weather gets colder, I gravitate towards a skincare routine that provides more moisture with creamier textures because my skin just dries out like no tomorrow once winter hits. For both my morning and night skincare routine, I would cleanse my face with Kiehl’s Rare Earth Pore Daily Cleanser, then I’d set using a Certified Organic rose spray toner from Divine Women, then once that dries I’d use a pump of my Derma E Advanced Peptides & Collagen Serum which my skin just absorbs instantly and feels all nice and plump and everything – hehe happy skin! 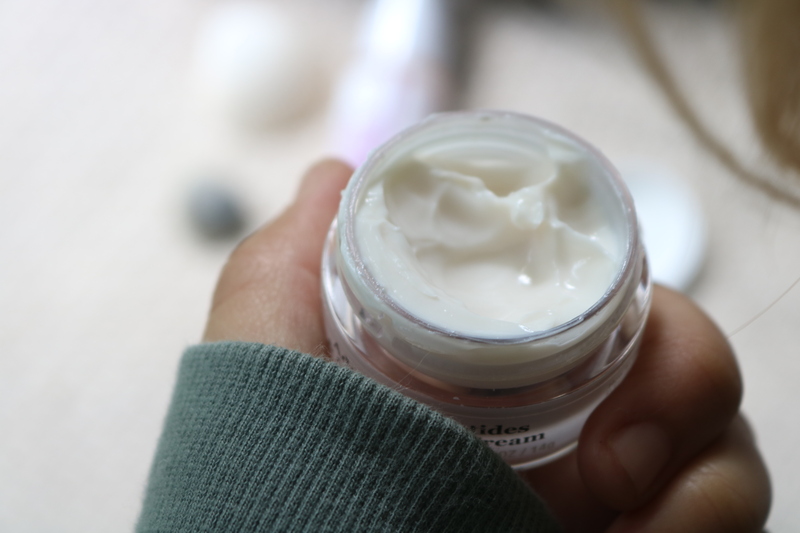 What I love about using this serum is that I find that it gives my skin enough moisture so I wouldn’t actually top it off with a moisturizer because I find it enough for me. Though once we really dive into winter here in Byron I might top it off. After using the serum, I would go in with my Derma E Advanced Peptides & Collagen Serum which has the best texture ever and just smooths on over your skin like it’s nothing. What I really love about the two Derma E products that I’ve been using religiously both morning and night is that the formula for both feels like creamy but once you apply it onto your skin it just absorbs without leaving that heavy type of feeling you sometimes get if you know what I mean. My skin HATESSSSSSSSSS that thick heavy type formulas in skincare products that make you feel like you have slime on yourself or something LOL and it just makes me break out. Not a good time. But yeah, I’m a huge fan of my skincare routine ATM because it’s so quick, simple, and I use it both in the morning and night which I realized is the first time I’m using the same products for both. 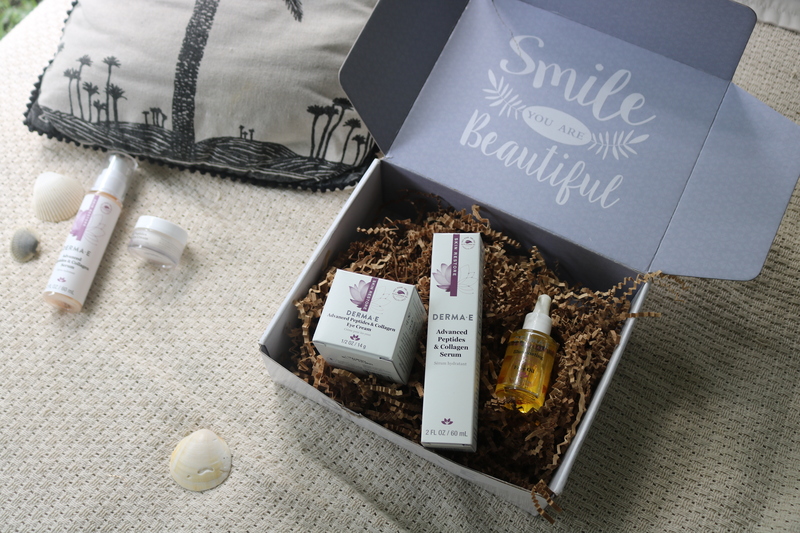 If you’re interested in checking out the products I’ve been using from Derma E, I’ll hit you up with the link here!